Federal taxes are a serious matter. To resolve problems with federal taxes, you need a serious tax attorney. David Coffin, J.D., CPA, is the founder of David Coffin PLLC, in Colleyville, Texas. A former employee of the Department of Justice, Tax Division, attorney Coffin spent more than 11 years representing the Internal Revenue Service as a trial lawyer in federal district and bankruptcy courts. During his time with the DOJ, attorney Coffin prosecuted cases involving tax shelter transactions dealing with hundreds of millions of dollars in tax. He also handled less intensive cases involving thousands of dollars of alleged tax debts. Today, attorney Coffin uses his insider's understanding of the federal tax system to benefit taxpayers in the DFW Metroplex and throughout Texas. He helps them navigate the IRS's complex processes and procedures, and resolves issues related to audits, appeals, liens, levies and other aspects of federal tax law. He is also a frequent and in-demand speaker on taxation topics. Whether you need sound legal advice regarding an IRS tax issue, or effective representation in IRS hearings and litigation, attorney Coffin's knowledge and experience can benefit you. No tax matter is too big or too small for the firm to resolve. Contact attorney Coffin today to schedule a free and confidential consultation regarding your tax matter. Office hours are 8 a.m. to 5 p.m., Monday through Friday, and after hours on occasion by appointment only. He looks forward to discussing your tax concerns personally and creating a game plan that will quickly and efficiently achieve your goals. Please see a list of tax matters handled by the firm. Find out how David's previous experience as an IRS litigator can benefit you. About attorney David B. Coffin, J.D., C.P.A. 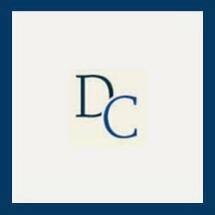 Contact David Coffin PLLC to schedule your free initial consultation.